They used to prey on us. Now we poison them. After spending the summer visiting her father in the Philippines, seventeen year old Analyn Santos was hoping for a fresh start back home in the States. What she hadn’t counted on was being abducted from the airport. Why would they take her? Ransom money? No matter what she tries to bargain with, her captors only seem to want one thing: her blood. Lots of it. Desperate to survive, Analyn bides her time until she can make her escape; only something seems to be moving out there in the darkness. 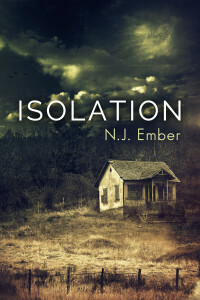 Suddenly, she isn’t so sure that the only threat lies within the derelict house…or how long it will be before whatever it is finds a way inside.